2 How To Choose The Best Tennis Racket? 4 Which Tennis Rackets Are Used By The Top Players? Without a doubt, tennis is a sport that requires a good amount of skill and athletic ability to play well. You need to have quick feet, strong arms and well above average hand-eye coordination if you are going to excel at it. Talent alone is not enough to get you to the top of the sport. You also need good equipment and obviously, one of the most important pieces of equipment is your tennis racquet. We wrote this article to help you learn how to pick out the best tennis racquet for your style of game. It includes not only a buying guide but also quality tennis racquet reviews. Why is your tennis racquet so important? It gives you an edge when playing if you use a tennis racquet that caters to your skillset. That is why it is so important to know what to look for when you are shopping for a new one. Such things as tennis racquet size should not be overlooked. There simply is no doubt that with the right tennis racquet in your hands it can really help you elevate your game to a much higher level. Head Size : 107 sq. in. / 690.32 sq. cm. After looking at several different models of tennis racquets here are what we thought were the best ones out of all of them. Here is a great racquet from a very reputable tennis equipment manufacturer. Wilson is a well-known name when it comes to quality tennis products, to say the least, and this good racquet does not disappoint. It features such things as grippy string technology that quickly dampens the energy of the ball as it strikes the racket so you can get better spin on your return shots. It is also ultra-lightweight and has a new class paint finish that gives it some style. 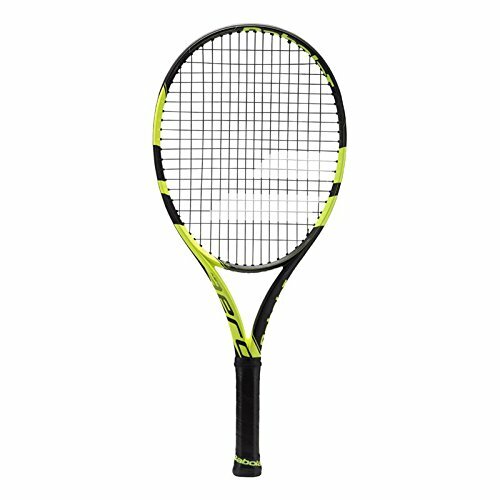 This racquet should have a different feel than the previous years this model was made because of what Wilson calls their ‘countervail technology’. It is a technology that uses an extra layer of carbon to help further deaden the speed of an opponent’s shot so you can return it with better control. This is a great tennis racquet but it is out of the budget range of all but the most serious of tennis players. 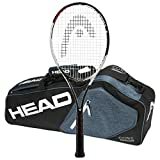 Head is another really fine tennis equipment manufacturer that has added a quality tennis racquet onto our top review list. It was designed with a lot of input from Tennis Star Novak Djokovic. It is the type of racquet that will help you perform well no matter what type of tennis surface you are playing on because it is lightweight, firm and uses advanced string technology. The feel of the string on this racquet is really great because it gives you so much control when you strike the ball. This tennis racquet also comes with a really nice 3-racquet tennis bag as a free gift. We feel that some players may find the grip size a little bit thicker than they are comfortable with. Tennis players with smaller sized hands should make a note of this. 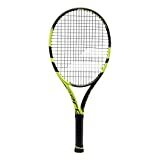 If you are a tennis player that plays aggressively then you will really like this high-quality tennis racquet from Babolat. The emphasis with this racquet is definitely placed on return shots with power and higher than normal spin. 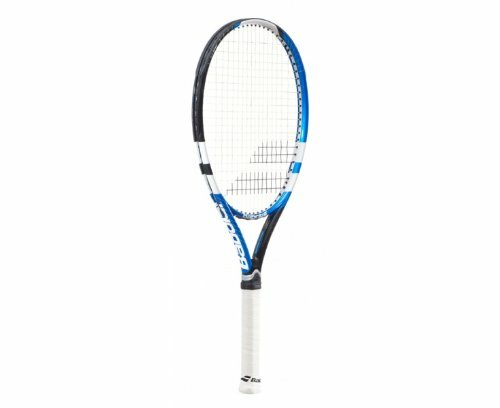 It is a very stiff racquet that uses a unique hybrid design to accomplish this. The sweet spot on this racquet seems to be larger than most and that should give you an edge if you are an excellent ball striker. The sweet spot is around 10% bigger than those you will find on most conventional tennis racquets. This is a high-quality tennis racquet for sure but it is also a tennis racquet that comes with a higher price tag. It will definitely not fit in everyone’s tennis equipment budget. 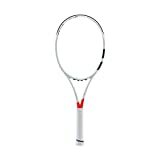 This is a racket that best suits players that like a lot of whip action from their racket. This type of design will help any player develop a lot more power on their return shots. Even if you like to stand behind the baseline and volley you will still get maximum power on your shots with this model tennis racquet. 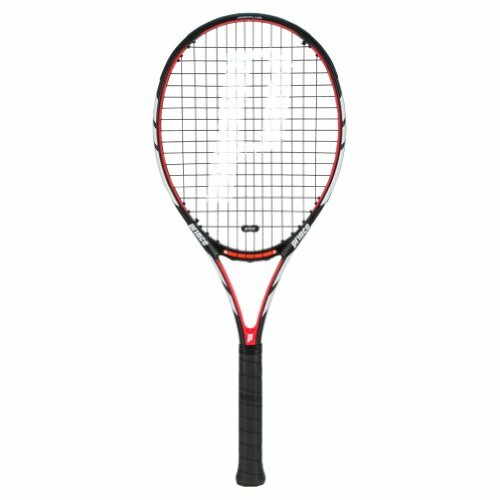 This racquet is designed in a way that lets you generate power on a return shot even if you don’t strike it perfectly. It is very forgiving on shots that are not struck perfectly in the center of the racquet. If you are a serious tennis player then you probably will not mind the price of this racquet for all that it does for you, but novice and occasional players may want to think twice before buying a racquet in this price range. Here is an oldie but goody from the very reputable tennis racquet manufacturer prince. They were among the first tennis racquet companies to take the technology used to build them to a whole new level. This is the type of racquet that is preferred by more traditional players that like to make the ball react because of their swing and not because of some fancy tennis racquet design. This racquet is very light, to say the least thanks to a large amount of graphite used in its construction. That makes it perfect for players that are not as big in stature as they would like to be. The design of this racquet has not changed in many years. 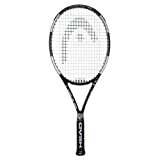 It is lightweight but does not offer the advanced string characteristics that many more innovative racquet designs offer. 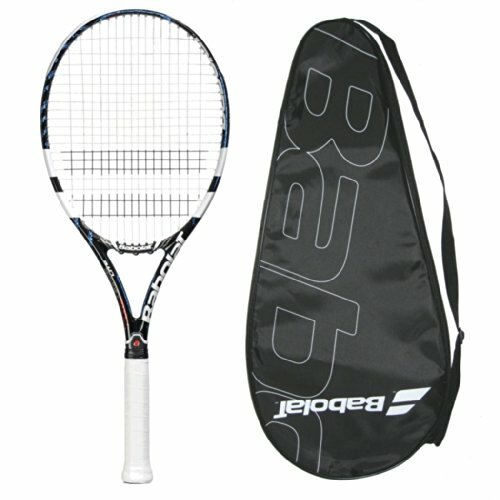 Here is another racquet on our list from the very good tennis racquet manufacturer Babolat. Rest assured that any company that puts more than one tennis racquet on our top review list is a company that knows how to build tennis racquets the right way. 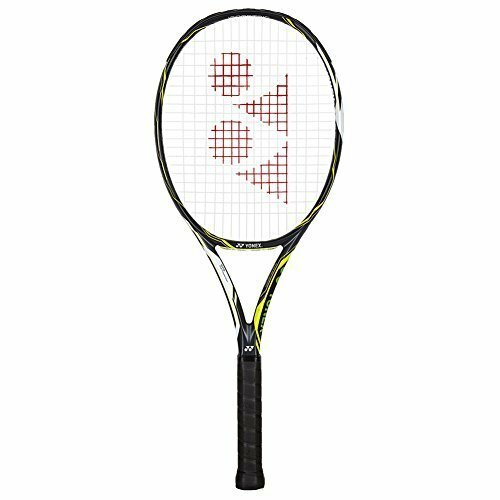 This racquet is comfortable to use, helps you control the ball when you strike it and also will add a little power to your game. We really like the versatility of this racquet design. It can be used by players with all different styles of tennis games and on all different types of court surfaces. This tennis racquet also comes with a handy free cover bag to protect it when it is being transported or stored. The only concern we found with this racquet has to do with the string quality. It can definitely use some improvement in that area. Head Size : 110 sq. in. / 709.68 sq. cm. 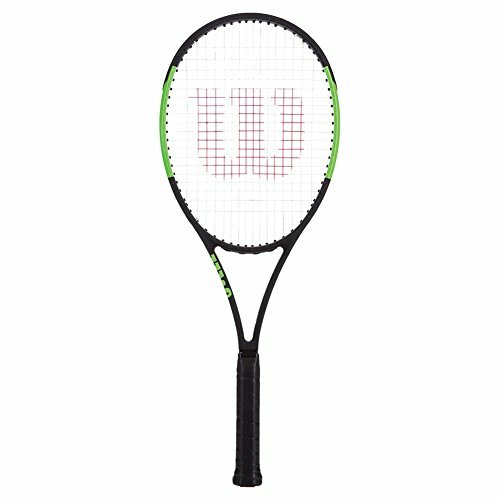 Here is Wilson’s second tennis racquet on our top review list and it’s a very good one. Rest assured that any sporting product that Wilson attaches the ‘Pro Staff’ moniker on is going to be of the highest quality that any manufacturer will offer. The design of this racquet emphasizes ball control. It is a heavy racquet that is also strung heavy too in order to help accomplish this. So players that use this type of style will fall in love with this tennis racquet. 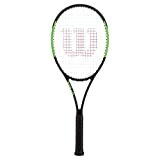 A lot of the input for the design of this racquet was done by tennis superstar Roger Federer who uses a similar style. This racquet is certainly in the more pricey range which may not appeal to casual tennis players. It also has a kind of weird rubbery type paint coating on it that some players will not take a liking to. 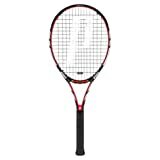 This is a good looking and high performing tennis racquet from Prince. They just keep turning out high-quality tennis racquets as is evidenced by the number of them they have on our top review list. This is a combination type racquet that helps produce a nice mix of both spin and power for those that use it. We think this racquet has an excellent string design on it, to say the least. Players that like to hit return shots with a lot of spin on them will love this racquet. It will help any player have more control over their shots. This tennis racquet’s frame weighs in at only a little over 10 ounces. That can be a concern for those players that like a racquet to add a little more power to their game. 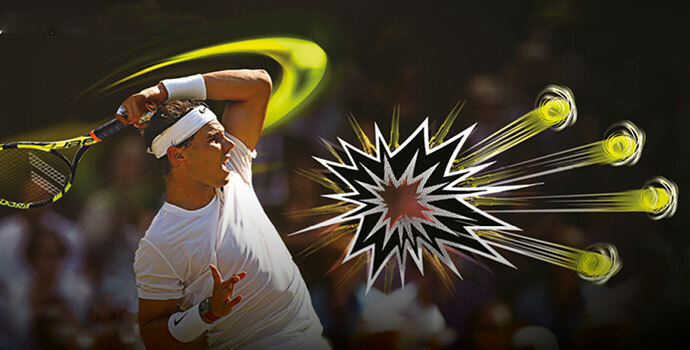 The third of Babolat’s tennis racquets on our list may be the best of all of them. Everything from its aerodynamic construction, superior stringing, and comfortable grip suggest that it is one high-quality tennis racquet for sure. This racquet is an advanced or intermediate level players dream. This is truly a great tennis racquet but like some other on the list is a bit on the pricey side for anyone but tennis players that play the game seriously and at a very high level. 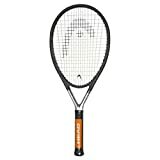 If you are a tennis player that is looking for an excellent racquet at an even better price, then this may be just the racquet you were looking for. This bargain priced racquet also has vibration dampening technology built into and a very generous head size too. 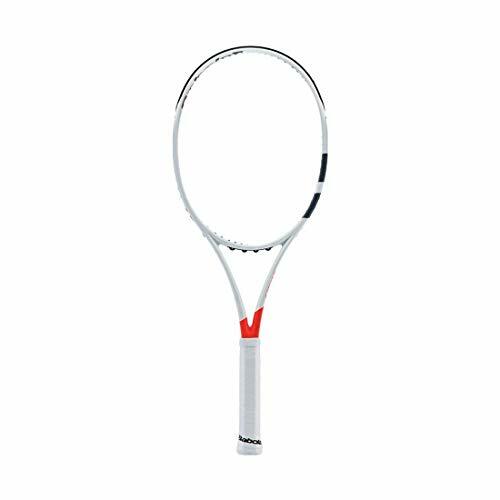 It’s a great racquet for beginner and intermediate level players. This is another tennis racquet that has a very generous sweet spot. There is no better feeling than to be able to slightly mishit a shot and still get a lot of spin and power on the ball. 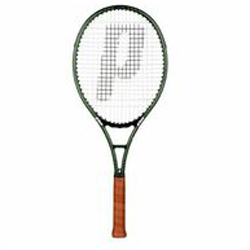 The string that comes with this racquet is not the best and also is not strung that tightly. Many people choose to replace it with a better and tighter stringer and that is not a bad idea. 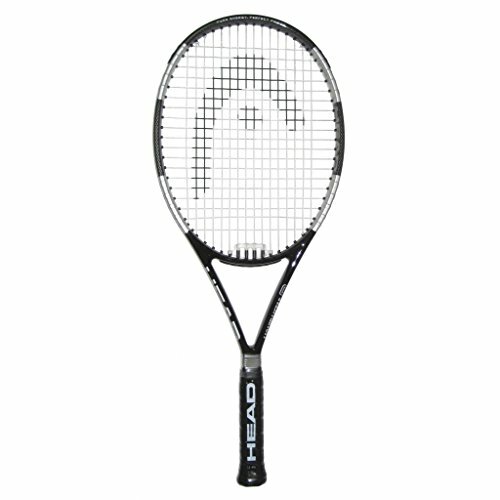 The fourth Babolat tennis racquet on our top review list is also one of their more affordable models. Just don’t make the mistake of taking it as meaning this tennis racquet is not a good one. It is an excellent model for novice and intermediate level players. It is also a racquet that favors those players that prefer to use more power than finesse when playing the game of tennis. Players who use this model racquet like the way it can be swung very smoothly. It is a very well balanced tennis racquet. 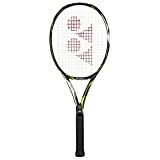 This racquet follows the same pattern as many of the other lower priced tennis racquets that we reviewed. The string quality is very suspect on it and may need to be replaced to improve play with this racquet. This tennis racquet from Head is both affordable and very functional. 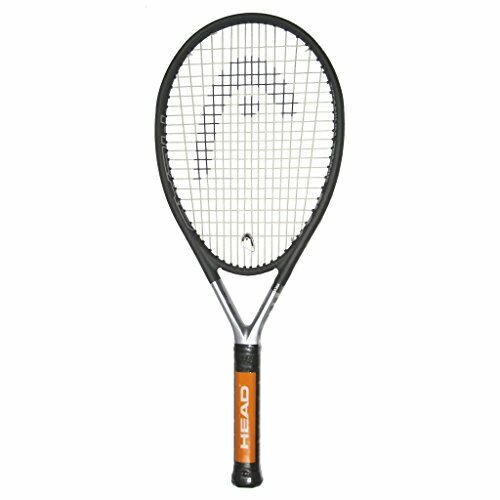 It is an excellent quality entry level tennis racquet that most beginners will really find to their liking. It has a good grip that fits smaller size hands well and it is constructed out of materials that keep it stiff as you hit the ball to help generate extra power on your shots. This racquet is very lightweight in nature. We think any youth player or adult player that is slighter in stature will greatly benefit from using this racquet. You can practice or play the game for a long time without getting tired when using this tennis racquet. It is definitely not a tennis racquet for more experienced players. You will not get a lot of ball control with it and it does not hit shots consistently either. How To Choose The Best Tennis Racket? Tennis racquets come in a very wide variety of price ranges, to say the least. You may want to set yourself a budget to help narrow down your choices because you will have so many of them. Do we find a correlation between the price of a tennis racquet and the quality of it? The answer here is absolutely but you have to be careful here too.In general, the higher the price a tennis racquet is the better quality that tennis racquet is because it most likely much innovative design features built into it. Be careful here too, though. Because things such as the tennis racquet brand or a tennis racquet that is designed by a famous player may up the price of a tennis racquet without it making the tennis racquet better than some lower priced models. You definitely want to base your tennis racquet buying decision on your skill level too. Here are some examples. You probably don’t need to buy a $200 tennis racquet if you just want to go out and volley some balls with a friend to see if you like the sport. Also, if you are an advanced player who likes a little extra power and a racquet that helps you put you more spin on the ball as you return it, then a $70 tennis racquet is probably not going to fulfill that need. As you are looking at tennis racquets in the store or shopping online it is important to note the head size of any racquet you are thinking about purchasing too. It stands to reason that the bigger the head is on your tennis racquet the bigger the sweet spot on it is also. A bigger sweet spot means you a less prone to mishitting the ball when you go to return it. Just be careful the head size is so big it adds extra weight or it throws off your game because you are not used to it. The weight of the tennis racquet you use is very important too. You need a heavier tennis racquet to generate more ball speed but you also need to be able to swing it fast enough to hit that ball in the first place. So you have to balance the weight of the tennis racquet you use with other considerations too.For instance, if you are slight in stature it may be to your benefit to use a little lighter racquet to help you turn on the ball faster as you go to return a shot. If you are a player whose game strategy is to win on long volleys you may benefit from using a lighter racquet so you do not get tired out as much swinging so much during a match. There are many different types of string that tennis racquets come strung with but not all of them will be beneficial to your game. Less expensive tennis racquets have strings that are made out of material like nylon; these are basic strings and do not deaden the ball much as it hits the racquet or helps you to add spin to your shot. More expensive tennis racquets will you advanced synthetics are even strings made out of the internal parts of animals; these high-quality tennis strings will let you do more when you hit a tennis ball but will also sign up its price.One thing you have to keep in mind as far as a tennis racquet’s string goes is that you can always change it if you are dissatisfied with it. So do not stress too much if you are not sure which type of string you want on your new tennis racquet. A few heavy hitters like their tennis racquets to be a little top heavy so they generate more power when hitting a ball but that is usually the exception as opposed to the rule. In general, it is usually best to start out with a tennis racquet that is balanced; this is especially true if you are a novice player. A balanced racquet will give you a little more control as you swing at and strike a tennis ball.Things that can throw a tennis racquet’s balance off are such things as an oversized racquet head, extra padding on a handle and innovative racquet designs that purposely redistribute weight to a specific area. So be aware of this when you are shopping for your new tennis racquet. There is nothing that says you cannot look good when you play the game of tennis and that includes having a stylish tennis racquet that accentuates your attire. It is probably not something that you want to be a major factor in your purchasing decision but if you have narrowed your choices down to 2 or 3 similar racquets it can be used as the deciding factor. Sometimes a company will include some extras in with the tennis racquet and these are always nice to have. So if you can get a nice cover to help protect your racquet when not using it or a can of decent tennis balls this is never a bad thing. Don’t make it a point of emphasis in your tennis racquet buying decision but these things are a nice bonus if you can get them. Not all tennis racquets are meant to be used on all different kinds of court surfaces. You will have to pay attention to this when shopping for a new tennis racquet. 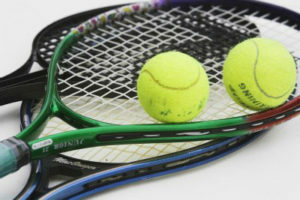 It will probably not matter what tennis racquet you use on any surface if you are a novice tennis player but that is hardly the case if you are an intermediate or above tennis player.Some racquets are of such high quality that you can use them on any type of surface but others work best on specific types of tennis court surfaces. This will usually be noted either on the packaging description of the tennis racquet or you can most likely look it up on the manufacturer’s website too. You may not have noticed but there were several brands of tennis racquets on our top review list that had a manufacturer with more than one model tennis racquet on it. Here are some of the most popular brand names when it comes to tennis racquet sales. They are in no particular order. It is these brands that dominate both the professional tennis player market and the recreational tennis player market too. Which Tennis Rackets Are Used By The Top Players? It is important to note that some of these players do use other brands but these are their number one choice in racquets on game day in most instances. If you have played the game of tennis long enough you know that the highest wear item on your racquet by far is your grip. Not only is subject to constant wear and tear by changing hand positions and by sliding your hands into position on it, but it also rubs on the court surface on occasion and is exposed to sweat and the elements too. It’s no wonder these have to be replaced very often on a tennis racquet. This can be expensive to get done on a regular basis so many people choose to do it themselves. The problem is most people do not know how to do this. Well, here is a step by step instructions on how to re-grip a tennis racquet yourself. Step: At the end of the grip towards the racquet head you will find a piece of sturdy tape that holds the old grip on. Remove it. Remember how it came off because it will have to go back on the same way. Step: Unwrap the old grip all the way off. Make sure not to tear off any of the paddings underneath the grip tape by accident. Step: Take the new grip out of its protective wrapping and set the end grip tape aside. Step: Wrap the new grip tightly around the very end of the racquet once. Step: Now reverse the process that you did in step 2. Hopefully, you noted how the grip tape wraps like we pointed out. Make sure you put the new grip on neatly and that it does not overlap too much in one spot. Wrap it all the way up the handle until you get to the same spot the old grip ended. Step: Trim as necessary and apply the new strip of grip adhesive tape to hold the new grip in place. You can use a smooth piece of electrical tape here too if the supplied grip tape is not enough. Once you have done all seven steps then just double check everything to make sure it looks right and then you should be good to go. Here are some questions that we are repeatedly asked about tennis racquets so we thought we would pass them along to you. How do you determine the grip size you need on your new tennis racquet? This is a great question because it is so important to playing the game well. A grip size that is too small will cause your hand to slip on your racquet a little and a grip size that is too big will restrict your wrist movement and make it hard to adjust your grip as you play.To measure your grip you need to take out a measuring tape. Place your fingers on your hand extended out and together and then turn your palm up. With the measuring tape take a measurement from the very end of your ring finger down to the bottom crease in your palm (usually adjacent to where your thumb attaches to your palm). That will be the size grip you need to look for. It usually will fall between 4 inches and 4 ¾ inches on most people.Keep in mind that you may want to add a layer of grip tape to your new racquet like many people do. If you are one of those people then it is best to get a grip size that is one size smaller than what you measured your hand to be. This will allow for the extra grip tape without making the grip too big for your hand. Is it better to order a tennis racquet that is not strung already? This really depends on your experience level to be truthful. Many pro players will buy a racket they like and then get it strung with a particular type of string that they like.We don’t really recommend that for the average player. First, do a little string research, then get a racquet that is already strung with a type of string that you think will work well for your playing style. Remember, you can always restring your racquet later if you are not happy with it. I like to play my shots with lots of spin like gut string helps you do. The only problem is I am an animal lover and I am against using it. Is there a close alternative? Great question. Thanks for asking it. Gut string really is great for tennis players that know how to use spin and other shot variations to their advantage. It also deadens the ball more than most other strings will so it helps prevent mishits too.We do not feel there is a synthetic string out there that will give you quite as a dramatic effect but that is changing a little. Some of the new synthetic types of tennis racquet strings that are coming out are getting close to the quality of gut string. So if you look in tennis pro shops or in tennis specialty stores you might be able to find a synthetic racquet string that is to your liking. We also answered one more anonymous question: Would a tennis ball machine help improve my game? Also, read our reviews of all the top rated tennis shoes, elbow braces, and tennis bags to find the perfect choice for you! Well, hopefully, this article has helped you learn more about tennis racquets than you knew before you started reading it. Tennis racquets and the technology behind them really are much more complicated than most people think. If you use the information we provided you here in the right way it will really help you very much when you go to purchase your new tennis racquet. It helps you to be well informed when you are trying to find the best tennis racquet for you. For sure you can never go wrong purchasing any of the models we did tennis racquet reviews on in this article. They feature such things as excellent racquet grip size, large sweet spots and they also have many advanced technologies used in their construction. If you don’t like any of those models, then you should refer to the handy buying guide to help you in your new tennis racquet selection process. Guide Tennis Copyright © 2019. All Rights Reserved. guidetennis.com is a participant in the Amazon Services LLC Associates Program, an affiliate advertising program designed to provide a means for sites to earn advertising fees by advertising and linking to amazon.com.